What is Uplink GPS Asset Tracking? The Uplink asset tracker is a battery operated, cellular device which can be deployed in remote areas where power is not available. Coupled with the Uplink GPS tracking application, Uplink asset tracker helps maintain asset location awareness and allows tracking of high value assets in the field. 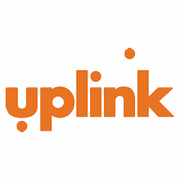 The Uplink asset tracker is used in residential applications for tracking ATVs, jet skis, boats, snowmobiles, RVs, motorcycles and other home valuables. Also, the Uplink asset tracker is used in commercial applications for tracking of high value fixed or mobile assets such as; heavy equipment, trailers, generators, sheds, medical equipment, trucking and freight containers. Uplink GPS tracker can be easily installed for a seamless tracking and monitoring resource from any computer, tablet, or smartphone.